Last year, Facebook created a section on its platform to highlight local news. However, the social media giant is acknowledging that the initiative is not going as planned: There just isn’t enough local news. One in three Facebook users in the U.S. lives in a “news desert,” according to the company. These “deserts” have little or no local reporting available to its community. The local news section, called “Today In,” launched last year with the goal of aggregating local news in a users’ vicinity. It is one of the efforts Facebook is investing in to promote local news. In January, Facebook announced it is donating $300 million to such initiatives. On Monday, the company said some of that money will go toward a new program called Facebook Journalism Project Community, which will allow local media organizations to apply for grants or support for news projects. According to Facebook, 35% of users in the Midwest, Northeast and South live “in places where we can’t find much local news on Facebook.” In the West, that number is 26%. New Jersey fared the worst as a state, with 58% of users living in areas without local news on Facebook. “In the last 28 days, there has not been a single day where we’ve been able to find five or more recent news articles directly related to these towns,” Facebook noted. Arizona had the most local news, with 13% of users living in areas without significant local coverage. 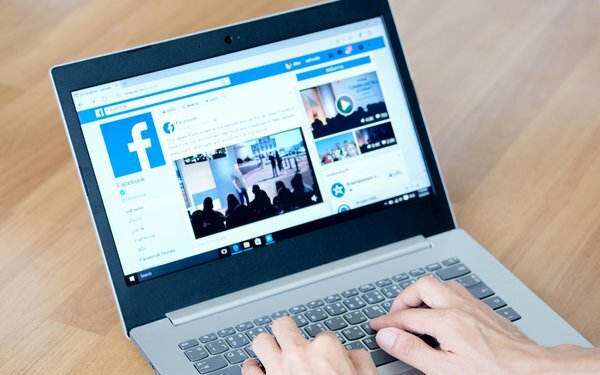 Facebook will share the data from its latest report with academics at University of North Carolina, Harvard, Duke and the University of Minnesota. The irony: Facebook holds some of the blame for this problem. According to a UNC report, about 1,800 newspapers have shuttered in the U.S. in the last 15 years — around the time Facebook launched. Also, Google and Facebook are taking the main share of advertising revenue that newspapers once relied on to survive. Specifically, Google and Facebook took half of all advertising revenue worldwide in 2017. While bigger media companies can focus on building subscription revenue and experimenting with new technology to diversify their businesses, smaller, local publishers usually do not have the scale to compete. Separately, McClatchy announced an innovative project launch, some good news for local publications. McClatchy New Ventures Lab, an arm of the large U.S. newspaper publisher, has released a beta version of Actual Reality, its experimental augmented reality app. Available in the Google Play Store, the app features two nonfiction series. “American Food” focuses on ethnic cuisine in the U.S. and “What They Carried” examines the personal possessions confiscated from undocumented immigrants attempting to cross the border between Mexico and Arizona. Last month, McClatchy added a virtual reality component to the third season of its documentary series “Titletown, TX." The 13-episode season, called "All We Got," featured a split-screen, 360-degree day-in-the-life of two Texas high school-aged football players with different backgrounds.